Address: Parade Walk, Newberry Beach, Coombe Martin, EX34 OAP. 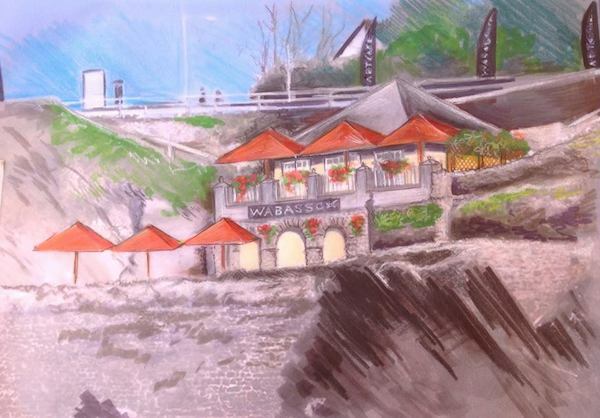 Wabasso Art Café is an atmospheric environment to relax and take in the beautiful sea view. We exhibit the work of many diverse artists, both local and national. At any one time you should be able to see a variety of paintings, prints, jewelry, ceramics, sculpture, textiles, wood and glass. Creative workshops and events take place throughout the year. Gift items, cards and some art materials are available to buy. WABASSO, ART – FOOD – SEA what more can you want?